The finest pools to swim are surely indoor olympic pools. Most from the Heated Pools in North Rhine-Westphalia deliver both open lanes for independent swimming and also guided activities like water aerobics or aquabike. If you might be visiting North Rhine-Westphalia make sure you know the rules and regulation for swimming as they may not be the same as inside your house town. Please, use the contact knowledge provided at each and every pool profile. Thanks to some new Swimming Pools submitted every day, Swimia.com is growing everyday the number of stored pools. Please don't hesitate to make contact with us for those who locate any inaccurate or incomplete information. We currently have the following Heated Pools in North Rhine-Westphalia, but we are always grateful for any corrections or contributions. Get in touch by way of our make contact with type. Without a shadow of a doubt, swimming in Essen may be the most beneficial way to unwind right after perform. 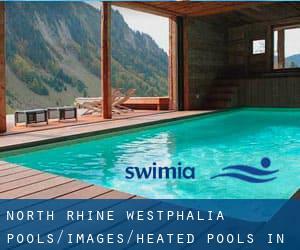 Take a couple of minutes to browse Swimia's catalog to find a Swimming Pool in Essen. Swimming is a wonderful thought to keep your body active in the course of your visit to Bochum (North Rhine-Westphalia), or perhaps if you are a local. Swimia helps you to find your closest Swimming Pool in Bochum. Whereas Dortmund is among the six most populous cities in North Rhine-Westphalia with almost 588.462 residents, you shouldn't miss that one if you're going to North Rhine-Westphalia. Holding an estimated population of 360.797, Wuppertal is among the most important cities in North Rhine-Westphalia. Check all the Pool in Wuppertal and its surrounding region. Let us tell you a secret to switch off while you are in Düsseldorf: just choose a Pool in Düsseldorf and plunge into the water! There's no alot more beneficial technique. It's difficult to visit North Rhine-Westphalia with out dropping by Duisburg (with 504.358 residents). Currently Swimia is showing you all the Swimming Pool in Duisburg and the closest pools situated in its vicinity. Updated on 2019 Heideweg 59 , Rhede , GERMANY (Postal Code: 46414). Among all of the activities offered by the center, for anyone who is enthusiastic about swimming you will appreciate 25 meters, Indoors. Just in case you want to contact this Pool before dropping by, we only know the phone number. Updated on 2019 Elsen 26 , Huenxe , GERMANY. Swimmers like you reported 25 meters x 8 meters, Indoors. Unfortunately we do not have the e-mail address of this Pool, but we can give you the phone number. Updated on 2019 Cappeltor 6 , Lippstadt , GERMANY (Postal Code: 59555). Swimmers like you reported 25 meters, 4 lanes, Indoors. Unfortunately we do not have the email address of this Swimming Pool, but we can provide you with the phone number. Updated on 2019 Turfstraße 15 , Gelsenkirchen , GERMANY (Postal Code: 45899). Swimmers like you reported 25 meters, Indoors. Phone number and email address are number for this Swimming Pool. Updated on 2019 Broch 8 , Kuerten , GERMANY (Postal Code: 51515). Swimmers like you reported 25 meters, 5 lanes, Indoors. Unfortunately we do not have the email address of this Swimming Pool, but we can give you the phone number. Updated on 2019 Herner Straße 160 , Recklinghausen , GERMANY (Postal Code: 45657). Swimmers like you reported 25 meters, 6 lanes, 1.2 meters -3.7 meters depth, 1.2 meters -3.7 meters depth, Indoors. Unfortunately we do not have the email address of this Pool, but we can provide you with the phone number. Updated on 2019 Schwimmbad 1 , Willich , GERMANY (Postal Code: 47877). Among all the activities supplied by the center, if you are thinking about swimming you will delight in 25 meters x 15 meters, Indoors. If you will need to contact this Swimming Pool, email address and phone number are both number. Updated on 2019 Am Büscherhof 25 , Leichlingen , GERMANY (Postal Code: 42799). Swimmers like you reported 25 meters x 12.5 meters, Indoors. Phone number and e-mail address are number for this Pool. Updated on 2019 Parkstraße 41 , Bottrop , GERMANY (Postal Code: 46236). Swimmers like you reported 25 meters x 12.5 meters, 6 lanes, Indoors. Unfortunately we do not have the email address of this Pool, but we can give you the phone number. Updated on 2019 Am Stadion 3 , Bergkamen , GERMANY (Postal Code: 59192). Among all the activities provided by the center, in case you are thinking about swimming you can expect to enjoy 25 meters x 12.5 meters, 4 lanes, 0.9 meters - 3.8 meters depth, 0.9 meters - 3.8 meters depth, Indoors. Just in case you wish to contact this Swimming Pool prior to dropping by, we only know the phone number. Updated on 2019 Dr. Grewe-Strasse , Bad Muenstereifel , GERMANY (Postal Code: 53902). This sports center gives 25 meters x 12.5 meters, Indoors. Contact information for this Pool for example phone number and email address are number. Updated on 2019 Le-Puy-Strasse 43 , Meschede , GERMANY (Postal Code: 59872). Among all the activities offered by the center, if you're considering swimming you will enjoy 25 meters, 4 lanes, Indoors. Just in case you would like to contact this Swimming Pool before dropping by, we only know the phone number. Updated on 2019 Ostring 134 , Rheda - Wiedenbrueck , GERMANY (Postal Code: 33378). Among all the activities offered by the center, if you are considering swimming you can expect to enjoy 25 meters, Indoors. Just in case you want to get in touch with this Swimming Pool before dropping by, we only know the phone number. Updated on 2019 Händelstraße , Kronenberg , Aachen , GERMANY (Postal Code: 52074). Swimmers like you have reported 25 meters x 12.5 meters, 6 lanes, 1.8 meters depth, 1.8 meters depth, Outdoors. Also, you will find 17 meters x 14 meters, 4.5 meters depth diving well, 4.5 meters depth diving well, Indoors. Just in case you would like to contact this Swimming Pool just before dropping by, we only know the phone number. Updated on 2019 Carl-Diem-Str. 1 , Neuss , GERMANY (Postal Code: 41466). Swimmers like you reported 25 meters, 6 lanes, Indoors. Unfortunately we do not have the email address of this Swimming Pool, but we can provide you with the phone number.